People who are new to coin collecting assume that a clean and shiny coin is worth more than a dirty and dull coin. In some respects, this is true. For example, an uncirculated coin that is free from wear and has original mint luster will be worth more than the same coin that has seen use and abuse in circulation. To try and make the coin "new" again, people will try to clean it in an effort to make it appear new and shiny again. In 2002, one coin dealer tells the story of a woman who brought in her late husband's coins to sell. She said she had a very valuable Morgan dollar. Before she brought the coin to the coin shop, she cleaned it with an abrasive cloth that she used to polish her silverware. Upon seeing the coin, the coin dealer recognized it as an uncirculated 1893-S Morgan silver dollar. It was also apparent to him that the coin had been cleaned. He asked why she cleaned the coin, and she responded that the coin was tarnished and "ugly." What would have been an $80,000 coin was reduced to $50,000. In other words, she polished away $30,000 worth of value. Coin collectors are art collectors. The round pieces of metal are works of art in their own right. Coin collectors appreciate newly minted coins that are shiny and bright. However, they also appreciate original surfaces that have not been damaged by cleaning. A 100-year-old coin that shows the signs of the natural aging process adds value and appeal to the coin. There are many factors that determine the value of a coin. Basic economics teaches us that value is determined by supply and demand. Low supply and high demand will drive up the price. When a mintage run is complete, the number of coins available for that date and mint mark is now fixed. The only variable that remains is demand. Demand for a particular coin can ebb and flow. For example, in 2009 when the United States Mint introduced four new Lincoln cent designs, demand for all Lincoln cents increased and so did the prices. Since then demand for Lincoln pennies have waned, and prices have dropped. Additionally, coin collectors covet uncirculated coins that are in pristine condition. This fact is especially true for classic collectible coins. Beautifully toned coins add an allure that also adds value. A 100-year-old uncirculated coin should still look like it is 100 years old. Cleaning a coin renders the surfaces unnatural and makes the coin less desirable by collectors. Attempting to repair a damaged coin will also destroy part of the coin's value. When coins first roll off the coining press, they are shiny and clean. Copper coins will have a brilliant orange/red color. Silver coins have bright white surfaces. Although gold does not tarnish, United States gold coins contain 10% copper that can lead to some changes in color. Over time, copper coins turn brown, and silver coins can tarnish into a variety of different colors. This natural process is expected by coin collectors. 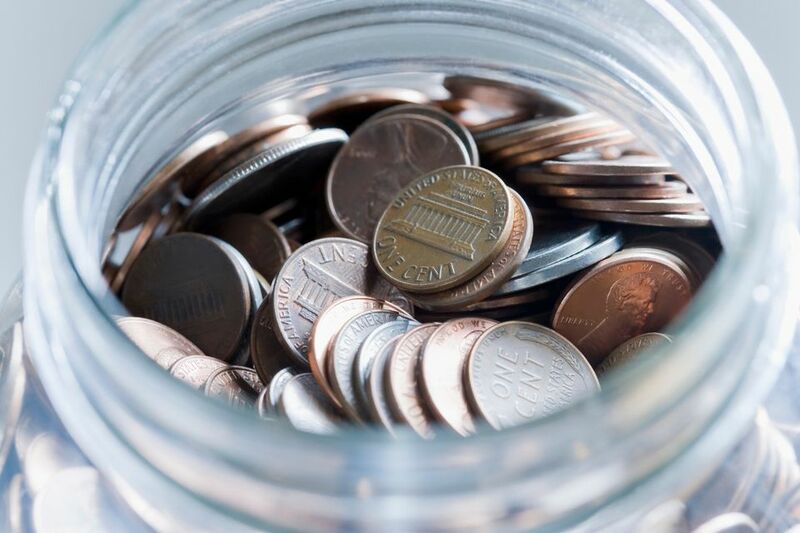 Coins that have not been properly stored or have been exposed to chemicals, humidity, and other environmental factors can be damaged over time. Proper storage of your coins can reduce this risk. Not all coins remain in uncirculated condition. Most have been used in commerce over time. This includes being transported in bags, carried in pockets, handled by a multitude of people, left on the ground, stepped on, buried, and various other actions that have damaged the surface of the coin. This is also expected by coin collectors when they look at a circulated coin. Ancient coins (usually at least 1,000 years old) are some of the dirtiest coins that you may encounter. Since banks were not invented until the 1600s, people were responsible for securing their own money. This detail usually included hiding their coins in their houses or burying them in the ground. If the person forgot where they buried their coins, they could be left there for hundreds or thousands of years. Since a majority of ancient coins are recovered from archaeological expeditions or accidentally discovered by people digging in the ground, it is common for ancient coins to have some dirt left on them. However, it is also acceptable if an ancient coin has been properly cleaned. Since the 1990s, a variety of shipwrecks have been found on the ocean floor. These ships were used to carry goods to foreign lands for trade purposes. Since paper money wasn't invented or was not trusted, all transactions were conducted with gold and silver coins or bullion. Therefore, these ships were usually laden with many gold and silver coins that have been recovered over the years. Many people give advice on how to clean your coins with common household products. These include scrubbing your coins with cleanser, using abrasive cleaners or chemicals that contain acids. All of these methods damage the surface of the coin by removing metal from the coin's surface. Numismatists and coin dealers can tell if a coin has been improperly cleaned. On the other hand, some coins that have been improperly stored or mishandled can have a variety of foreign material embedded on the surface of the coin. Experts in chemistry can analyze the foreign material and use nondestructive methods to remove the material and conserve the coin for future generations. This process is usually an expensive process due to the analysis and procedures that must be done. Therefore, only rare and expensive coins are usually conserved. Most damage on coins as a result of incorrect handling or improper storage of the coin. Selecting the proper method to store your coin collection is the best way to avoid irreversible damage. The second leading cause of damage in coins is improper handling. Learning the proper way to handle your coins will save them from permanent damage.